Hi again! 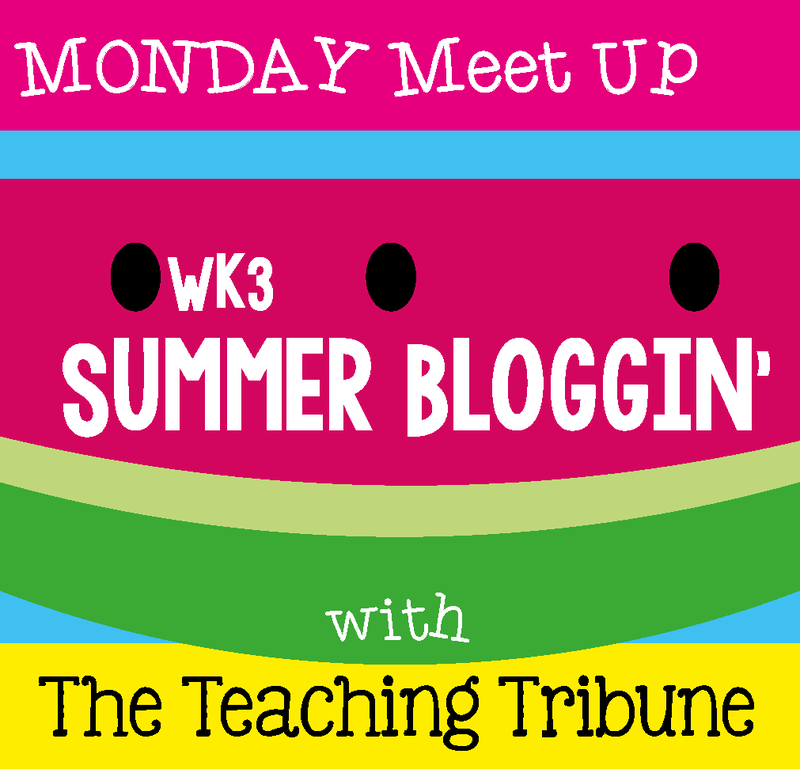 I'm linking up with The Teaching Tribune for their Summer Bloggin' series. My first year of teaching, I wasn't even supposed to be a teacher. I was hired to be the assistant math teacher. But she got sick, and had to quit working. I stepped up, took over the classroom, and the rest is history! I can't wait to read your letters! YES! Love this! 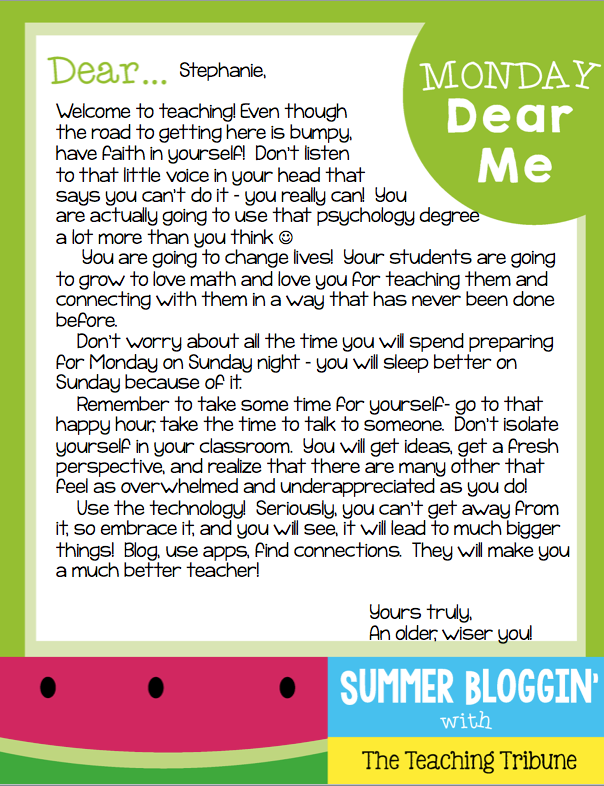 I learned long ago to walk away from that classroom at night and on the weekends or it would consume me 1,000%. No matter how hard we try....we will never get to the end of that "To-Do" list...and that IS okay!! !